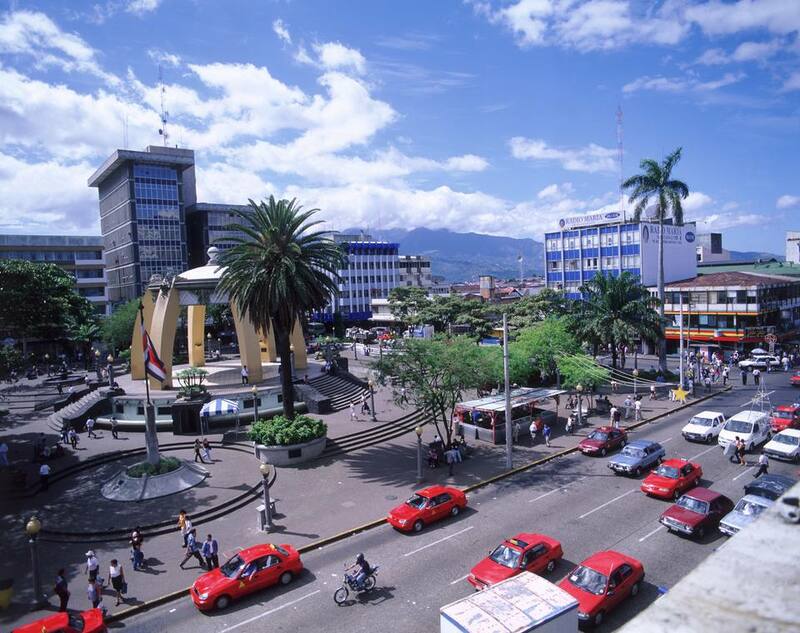 Taxi cabs are one way to move around San José, and may be an option for those traveling further afield in Costa Rica. How you navigate the Costa Rica taxi system can make a big difference on how much you pay, how you are treated, and whether you risk compromising your safety. In general, the taxis in Costa Rica's capital city are red and use a meter system. The meter begins at around 550 colones (or a $1 as the official rate is constantly changing) and climbs based on kilometers traveled and time spent in waiting. The Costa Rica airport has a separate fleet of taxis, which are painted orange, and typically only take passengers back and forth to the airport. These taxis begin their meter closer to 900 colones (or $1.80), and the meter climbs at a faster rate. Taxis between the airport and San José generally cost $25, and drivers do accept United States currency. Outside the Central Valley, several small cities have their own taxi system. Some are red, some are yellow. Some use meters and some don’t. If you are unfamiliar with the area, it’s best to have your hotel or a friend call a taxi. Throughout the country, there are bandit taxi drivers, known as "piratas" in Spanish. These drivers operate under their own rules and with their own pricing. Though reports of abductions or taxi robbery are infrequent, it’s generally safer to stick to the official taxi service or to a known driver. Use the Meter. All official taxis are obligated by law to use a meter system, but with unknowing passengers may ‘forget’ to start it or claim it doesn’t work. You should exit the taxi immediately if the taxi driver pulls this. These drivers often charge double or triple the rate. Foreigners and tourists are most commonly targeted. Tips Aren’t Necessary. Though a little extra money is always welcome, tips aren’t expected among taxi drivers in Costa Rica. However, you can make someone’s day by throwing in an extra 1,000 colones. Exit to the Non-Traffic Side. Taxi drivers are very particular about their passengers exiting to the non-traffic side, even if that means climbing across the entire bench of seats. Make this a practice and you’ll never be scolded. Don’t Use Big Bills. Drivers don’t carry a lot of change and don’t like it when one customer takes all their small bills. If you are out of small bills, a simple solution is to ask the driver whether he can break a big bill before you climb in. Know Where to Sit. Most women will sit in the back seat, while men (especially when they are riding alone) will sit in the front. Close the Door Gently. The quickest way of upsetting a taxi driver (especially when his car appears new) is by slamming the car door when you get out. Shut it gently to keep your driver happy. Use the Taxis You Call For. If you call for a taxi, try to get in the habit of waiting until that taxi comes for you. Don’t pass your taxi up for one that happens to drive by sooner. Taxi companies are said to keep lists of numbers and if you stand them up more than once, your number may be blacklisted. Avoid Unofficial Taxis. Though reports of taxi abductions or theft are infrequent, it’s safer to stick to the official fleet. It's even safer if you call for a taxi every time you need one. Taxi companies keep records of calls and can trace your driver if something goes wrong.